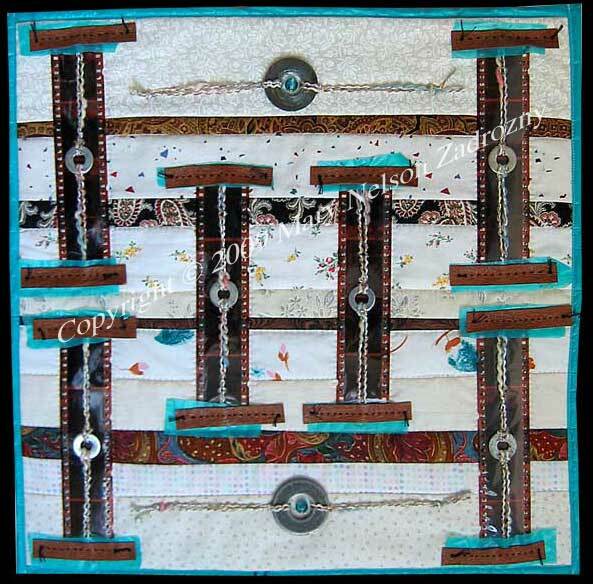 Quilt Description: Created with materials usually sent to the landfill in an effort to reduce my impact on the planet. 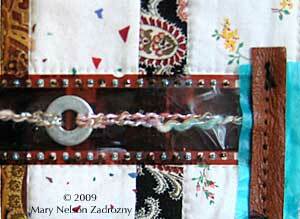 It was very challenging working with some of these items; can't iron seams, stitching plastic bags can be tricky, etc. It is sometimes like learning to quilt all over again, but exciting to develop new techniques & try out new materials. Materials: Cotton fabrics, plastic trash bags, embellished with film negatives, metal washers, beads, recycled leather from an old purse, yarn.